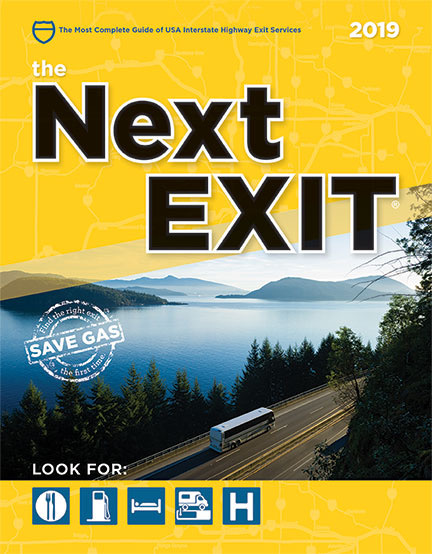 Although the 2018 edition is out of stock, you can be the first in line for the 2019 edition of the Next EXIT book as soon as it is available by clicking “add to cart”. We are happy to report that the book is on schedule for shipment early January 2019. ***BONUS*** Each purchase of the Next EXIT® printed book now includes one free year's subscription to our website – tNE Online – beginning from book purchase date. Simply log into our website using the account credentials you created upon checkout and begin enjoying frequent, real-time interstate highway service information from the moment it is updated.